IT represents a major stepping-stone for any young or new rider, with the 2019 Honda CB300R considered very much a first ‘big’ bike after a 125cc machine, offering impressive and engaging sensations from both engine and chassis. All of it without the weight, cost and licence implications of a larger capacity motorcycle. It is the ideal machine for newer riders to develop their riding skills and enjoyment, and Honda is hoping, a great introduction to the brand. 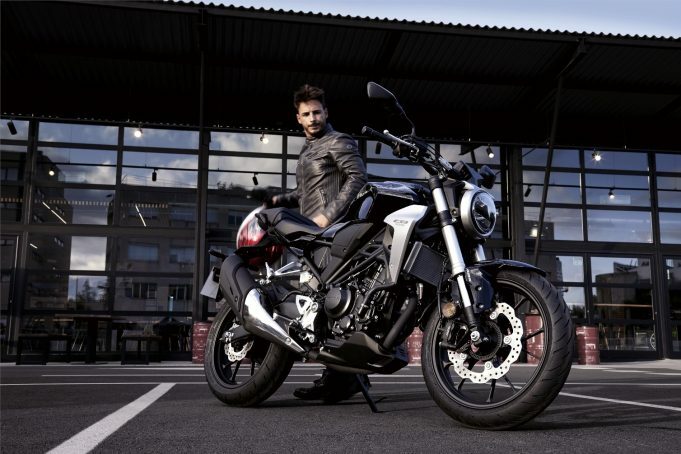 The CB300R has many of the premium features found on its larger capacity siblings. It also injects a fresh new style on to city streets, with its ‘Neo Sports Café’ minimalist, bare-boned attitude shared with its 1000cc stable mate. It’s described as a sport naked bike, and looks very much the part, as well as tipping the scales at just 143kg. To ensure the responsive 286cc liquid-cooled single cylinder engine is low maintenance, it’s been designed with the minimum number of moving parts. Details like the low-friction piston rings, high-density core radiator and iridium spark plug help increase fuel efficiency. The 41mm USD forks also complement the CB300R’s handling, with compliant damping and supple spring rate. The single rear shock offers 5-step spring pre-load adjustment. Both front and rear floating discs are modulated by 2-channel ABS. The high specification system works through an IMU (Inertial Measurement Unit) to give precise operations. The 2019 Honda CB300R is LAMS approved and rides out of the showrooms at $5,999 plus on-road costs. It is available in Candy Chromosphere Red, Matte Axis Grey Metallic and Graphite Black.